Randy joined Lawn Baptist in 1980, moving his family from Abilene. 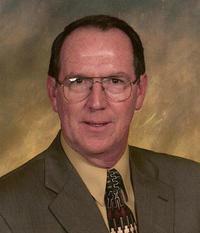 He has been the music minister at Lawn Baptist since 1983. Randy retired as a fire investigator and public education officer with the Abilene Fire Department in 2010, after 27 years. He was born and raised in Merkel, Texas. He and his wife Rhonda have 2 children and 6 grandchildren. In Randy's words, "God has richly blessed me and my family here at Lawn, and I am proud to call Lawn Baptist my church home."